To prolong the life of your hearing aids, it’s important that you look after them and clean them regularly. 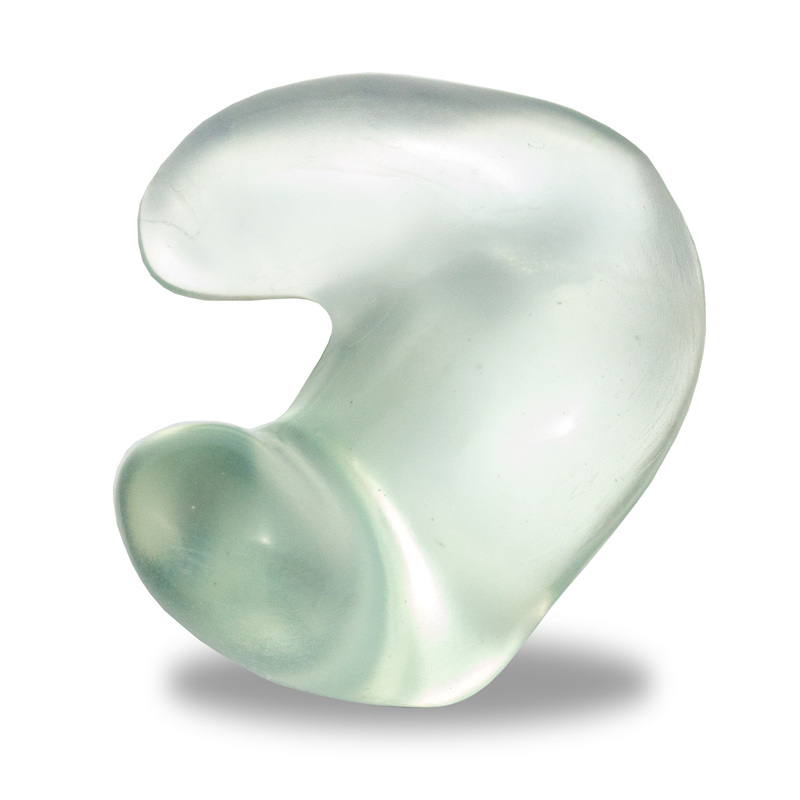 The earmould is an essential vital part of a behind the ear (BTE) hearing aid. It channels sound from the aid into your ear and can affect the quality of what you hear. Your earmoulds should fit comfortably and snugly. An earmould that doesn't fit well, or is difficult to put in, can make your hearing aid less effective. If you’re having problems with your earmoulds, go back to your audiologist or the hearing aid dispenser where you bought your aids. It’s possible for your earmoulds to be modified to help you hear better or, if they’re irritating or inflaming you ears, they can be made from special non-allergenic materials. You can even make a statement with your earmoulds, by having them made in a bright colour or by adding sparkle with a sprinkle of glitter! To ensure your earmoulds are kept in tip top condition make sure you take regular care of them. Wipe the earmould over with a soft tissue, cloth or antibacterial wipe each time it’s removed from the ear. Carefully ease the tube, which is connected to the earmould, from the hearing aid hook. Wash the earmould and tube in a bowl of mild soapy water. Let it soak for at least 10 minutes so that any earwax or dirt is loosened. Rinse in lukewarm running water. Dry the earmould with a soft cloth. To ensure it’s thoroughly dry, let the earmould dry overnight on absorbent cloth or paper, with the sound outlet end of the earmould pointing down, so any remaining moisture can drain out. Attach the tube and earmould to the hearing aid. IMPORTANT: Never put cotton buds, toothpicks, pipe cleaners or similar pointed objects into an earmould. Wash your earmoulds and tubing every night, if you can, in warm soapy water and then rinse them. The minimum you should wash them is once a week. Then leave them to dry before fitting them back onto your aids. Don’t wash the hearing aid itself. To disconnect the hearing aid from the earmould and tubing, gently pull the plastic tubing from the elbow (the hooked part) of the hearing aid. Don’t remove the elbow - this is part of the hearing aid and it could get damaged if you remove and wash it. If you have two hearing aids, make sure you know which earmould belongs to which hearing aid, so you can put them back together again properly. Clean your hearing aids by wiping them carefully with a soft, dry cloth or tissue. Don't use any kind of cleaning solutions as they might damage them. And take care not to get your hearing aids wet. The tubing on your hearing aids will need changing every 3 to 6 months before it hardens, splits or causes problems. Your hearing aid centre or dispenser can advise you on how to change the tubing, or do it for you. This type of hearing aid doesn’t have an earmould. The entire aid should be cleaned with a dry cloth. Make sure that it doesn’t come into contact with any liquid. If your hearing aid has its own wax pick, you can use this to remove any wax from the opening at the end of your hearing aid. Always follow the instructions provided. It’s a good idea to always carry some spare batteries with you. If the sound from your hearing aids gets fainter, disappears or becomes crackly, fuzzy or distorted, it’s time to change the batteries. Some hearing aids give a warning signal (a beeping or 'fluttering' sound) when the battery is about to run out.